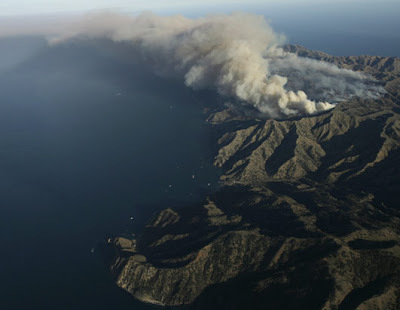 If you’re following the news even a little bit, you’ve probably heard about the wildfire burning up Catalina Island, which is offshore of southern California. Click image above or quote below to read story and see more photos. Although many people live on the island, much of it is a wildlife refuge. Despite being well offshore, Catalina has been left parched by the lack of rainfall that has made the rest of Southern California particularly susceptible to wildfires like the one in Los Angeles’ Griffith Park this week. 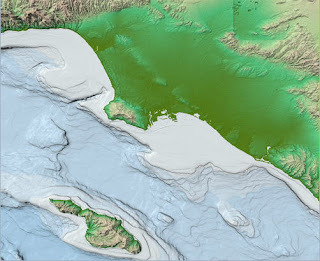 Here is a bathymetric map showing the island. See more here.